First up and something you will notice straight away is that we’ve redone all of the icons in VTS to give it the full Metro look. 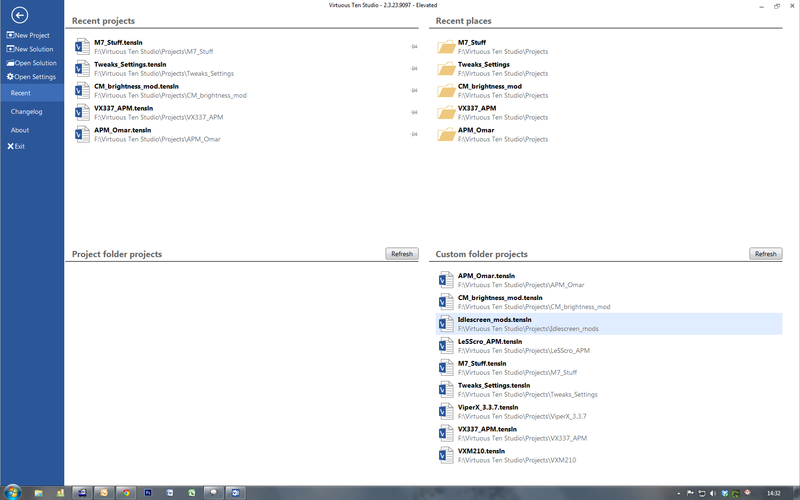 Next up, in addition to reworking the Recent Files system we’ve now added the ability to specify a custom path for your Projects folder, so you can now set your VTS working directory to an external HDD or USB drive – ideal if you use VTS on more than one machine and want to be able to work on the same projects on each. 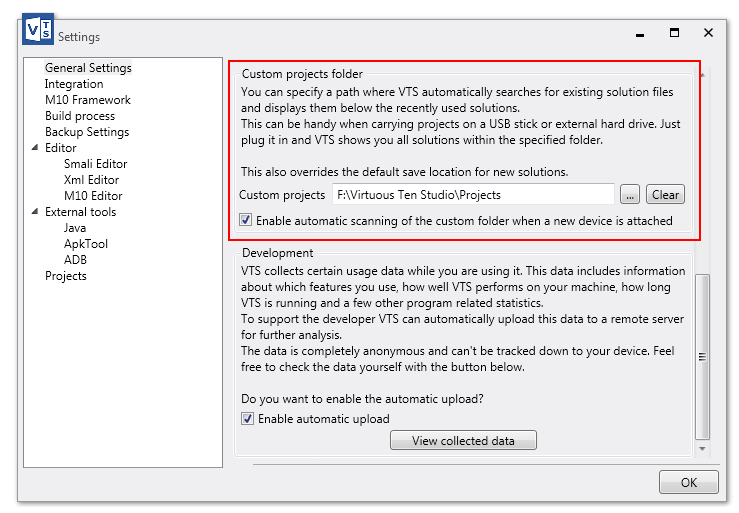 Don’t worry if you forget your USB stick though, if you start VTS and your external device isn’t connected it will simply use the default My DocumentsVirtuous Ten StudioProjects path. If your storage device is connected VTS will now display not only a list of Recent Projects, but also seperate lists of all projects found in both the default location and any custom Projects path you’ve set. Talking of custom paths we’ve also now added the ability to specify a custom Java path, which should solve any problems with faulty java installations. Another handy feature is the introduction of the F11 fullscreen toggle. Simply press F11 to switch between a fullscreen view of the current document and back again to your regular docked and tabbed window view. 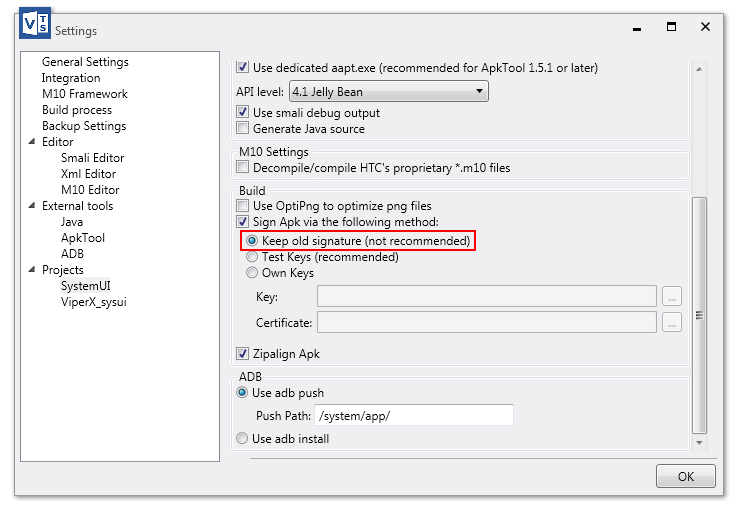 We have enhanced the ‘Keep old signature’ process when compiling so now the old AndroidManifest.xml is now also automatically copied across to improve compatibility, which should do away with the need for a patched services.jar. You can access this option from General Settings in the project preferences window. Also new for this version VTS now remembers all open documents and line marking when you close VTS, and restores your previous session with all of the same documents open at the same line next time you launch VTS (you have to exit VTS with everything open for this information to be saved). VTS also remembers any line marking from the previous session, so you no longer have to remember where you had got to! 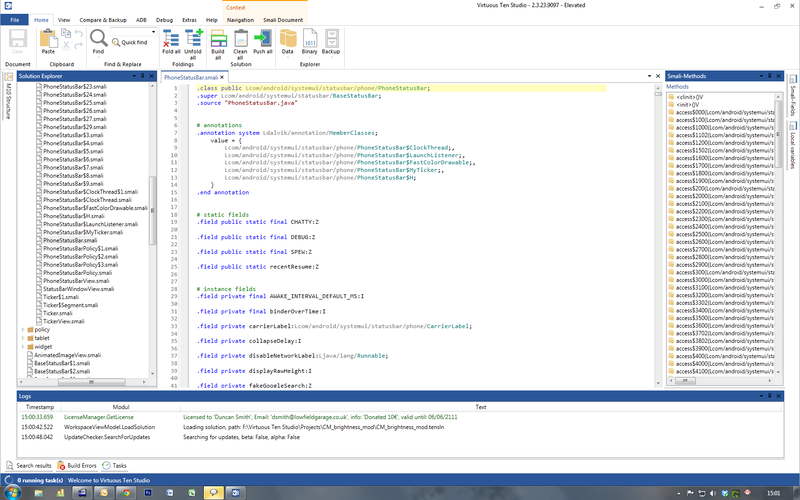 And finally for this version way project settings are handled in VTS has changed to a fully public xml system. 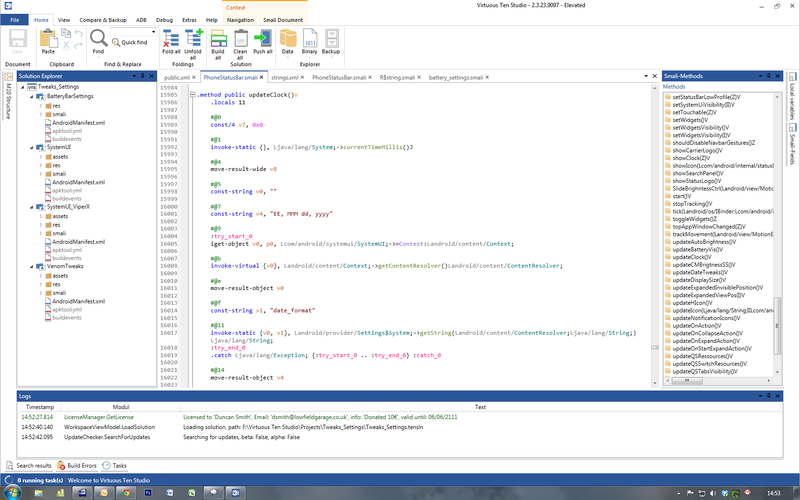 You can still set all your project preferences within VTS as before, however you can also if required access the settings xml directly and edit the preferences manually. 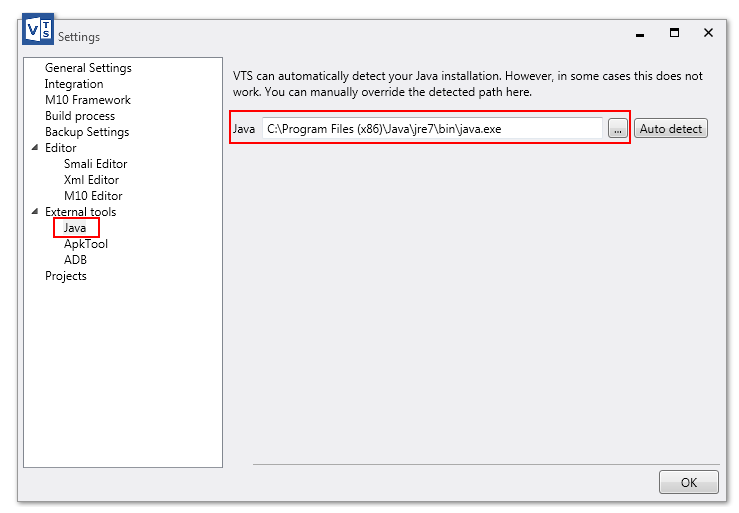 To do this simply navigate to your VTS folder in /MyDocuments/ (make sure VTS ic closed), open the specific settings file you want to edit and change what you need to. 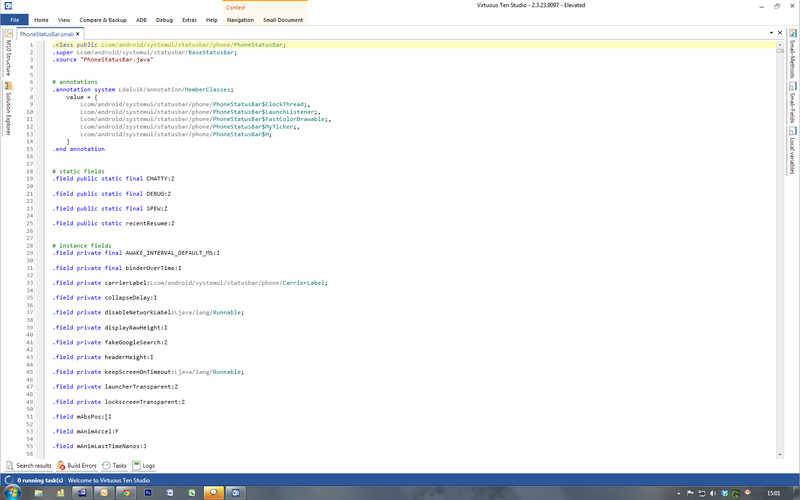 The next time VTS is opened the new settings will be picked up and applied.